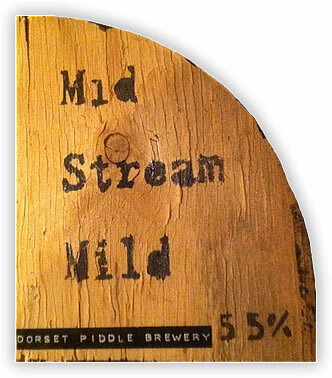 Dorset Piddle’s Mid Stream Mild | DorsetBreweries.com - A Guide to Dorset Breweries and Dorset Beers! A traditional strong Mild from the “old days”! A deep rich flavour with a lingering smooth finish.